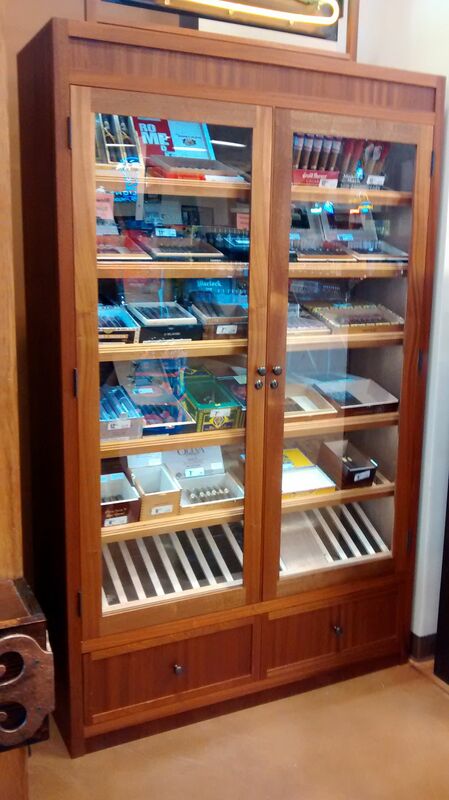 Large retail humidor display cabinet in Sapele Mahogany. Features adjustable Spanish Cedar shelves. The custom humidification system has a large distilled water reservoir which automatically refills the humidifier. Custom timer controlled LED lights illuminate the merchandise. 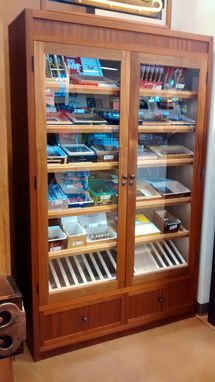 This cabinet measures 80" x 48" x 16"
Please contact me for pricing on your custom humidor.